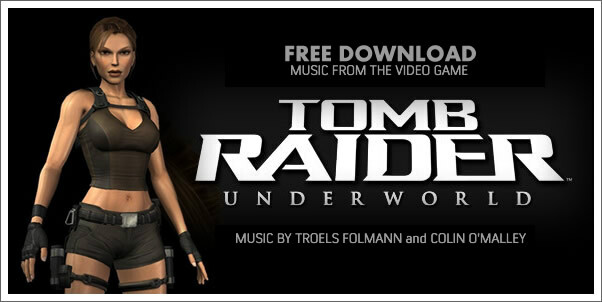 In my quest to do whatever I can to help you soundtrack collectors during this downed economy, I offer you a great opportunity to download the official soundtrack from TOMB RAIDER: UNDERWORLD. The music was composed by TROELS FOLMANN and COLIN O'MALLEY. Once again developer, CRYSTAL DYNAMICS is making a ton of music from the game available for free...just as they have done for the previous games of the franchise. By the way, if you missed our interview with both composers check out our special edition of The SoundCast on our homepage. This will give you something to listen to while you download the 193 mb zip file. Their server is getting slammed, so be prepared to wait a bit. It's worth it.